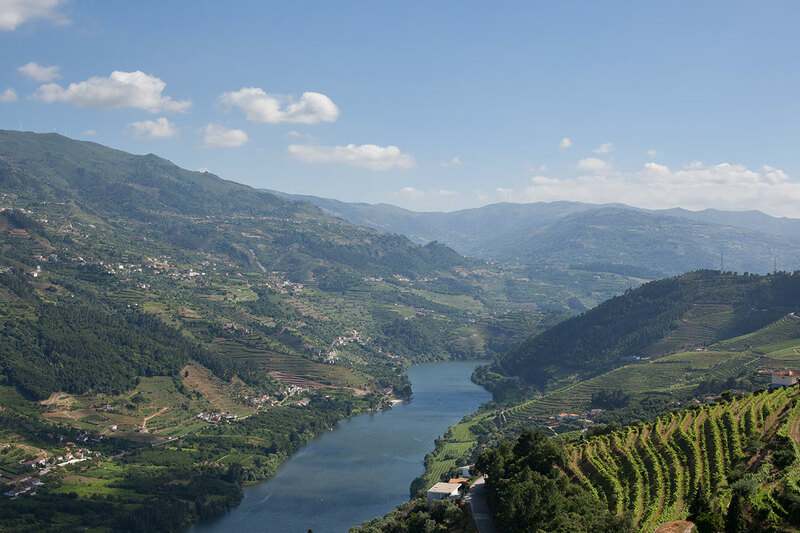 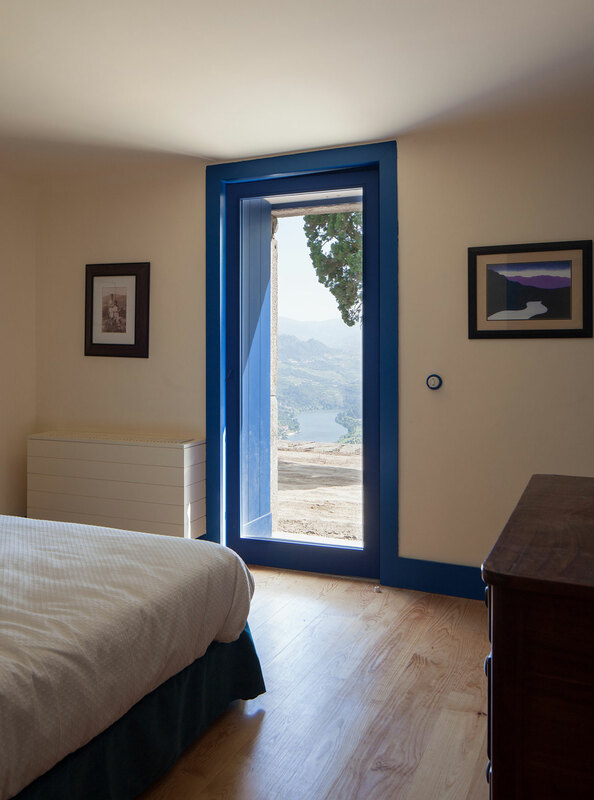 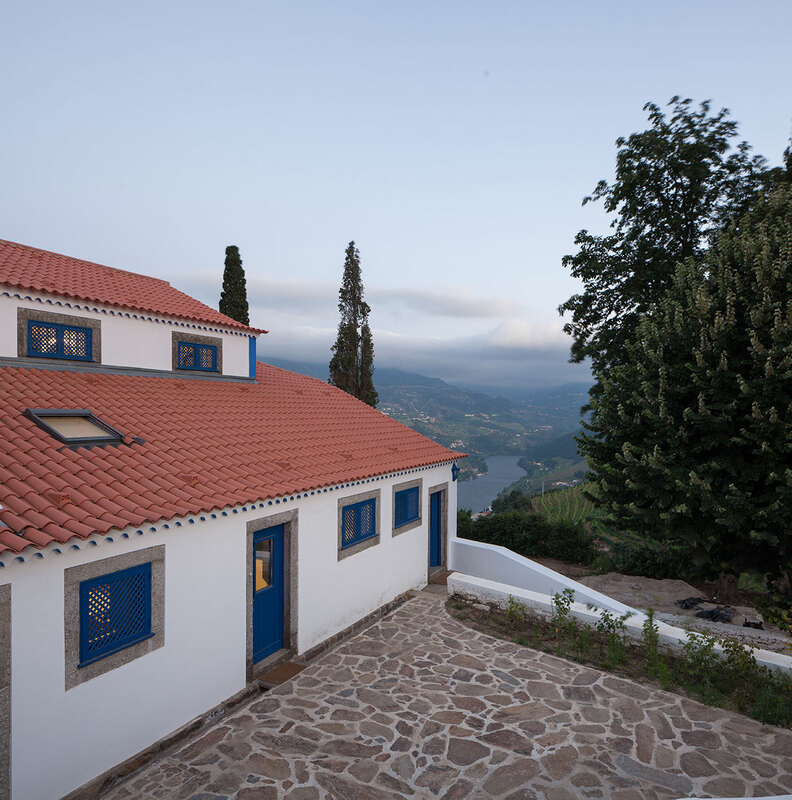 The wine-producing estate of Quinta da Boavista is idylicaly perched along the right bank of Portugal's mighty Douro River in the Mesão Frio municipality of Vila Real. 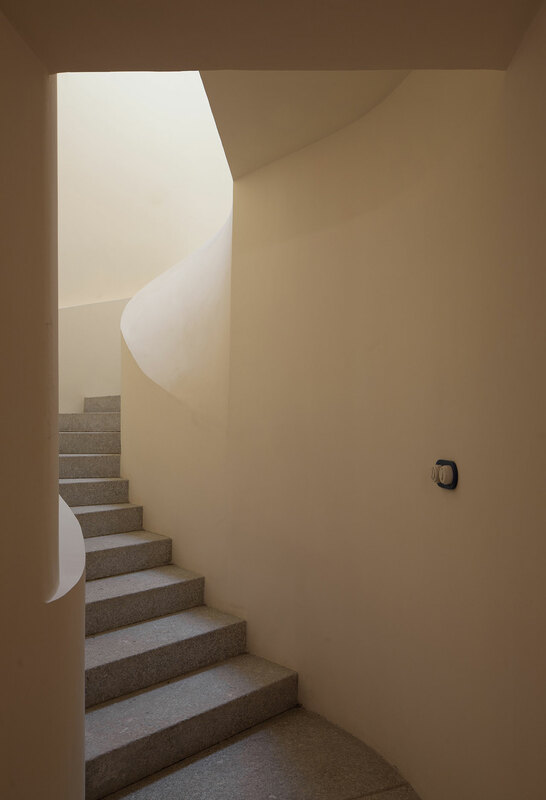 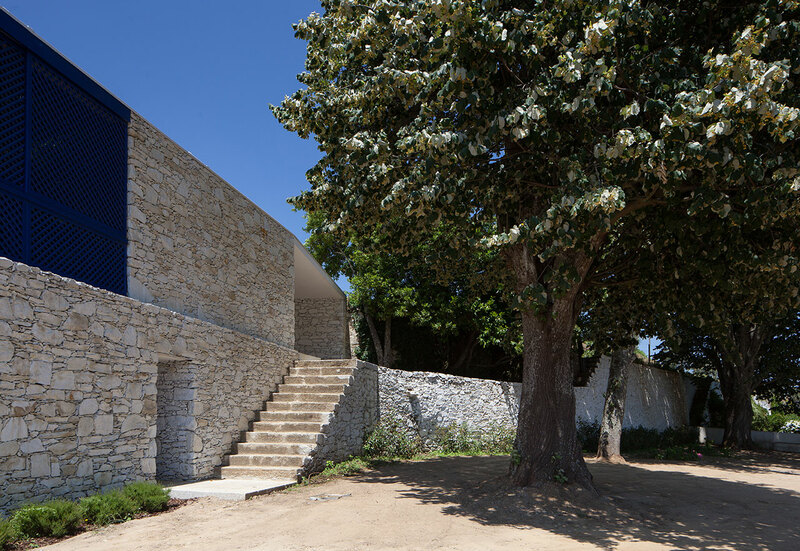 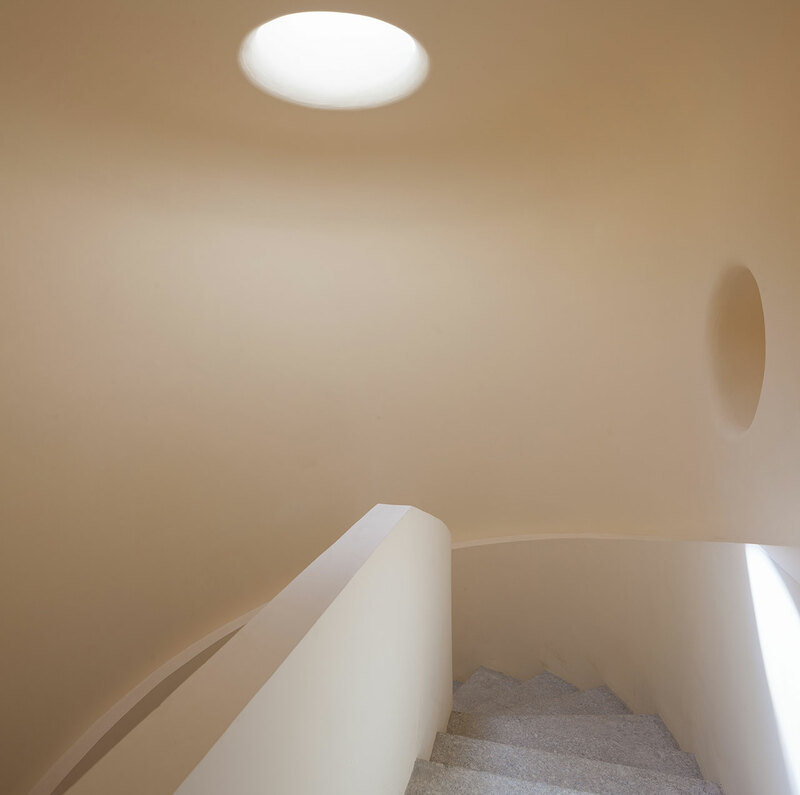 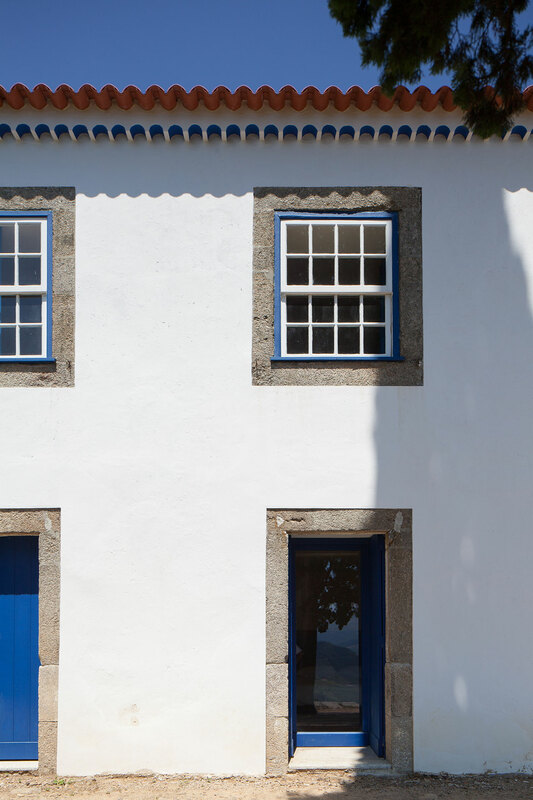 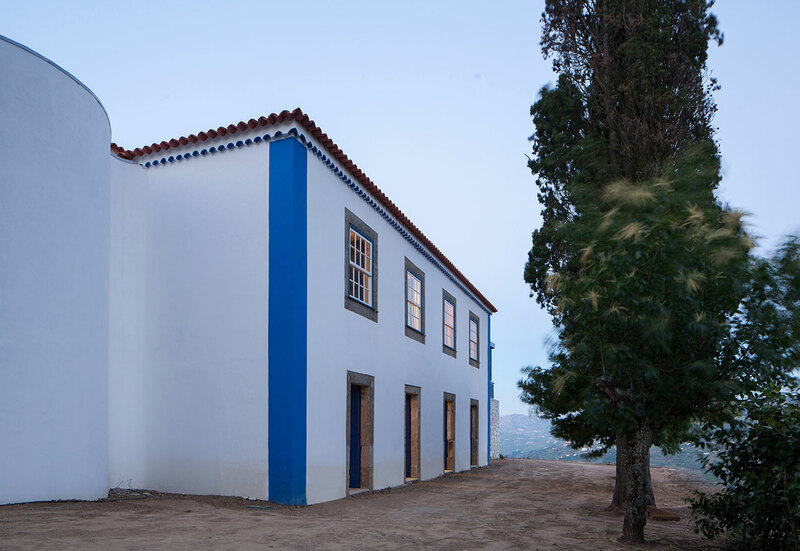 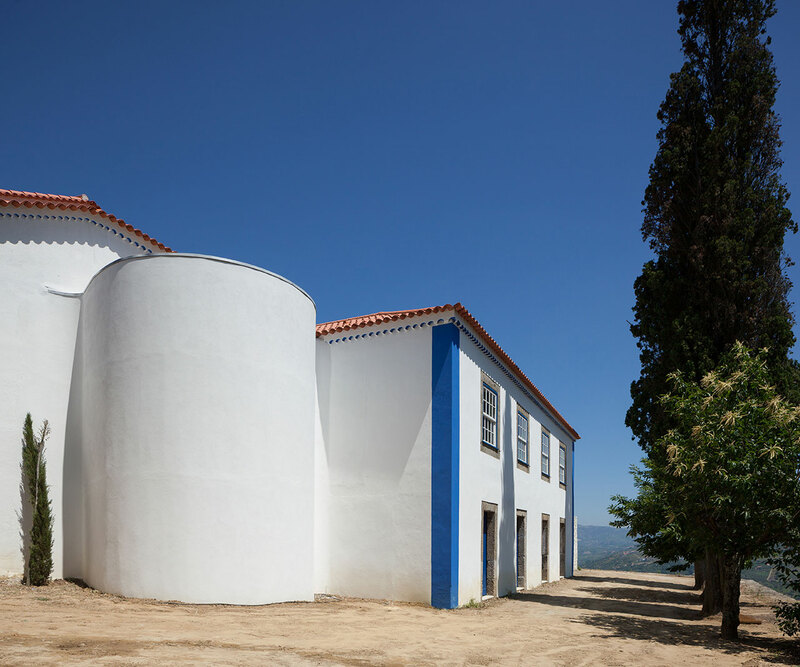 The estate’s first buildings which were originally constructed in the 18th century, at the same time that the first vines were planted, have now been renovated and new constructions added to the plan by Sara Antunes Mário Ferreira Arquitectos. 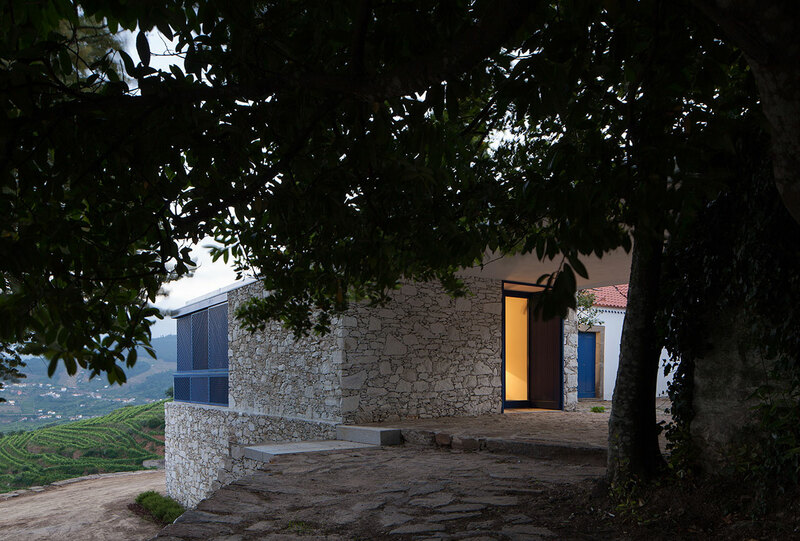 Completed in 2016, they serve the private use of the family, the caretaker’s house, as well as a guest house. 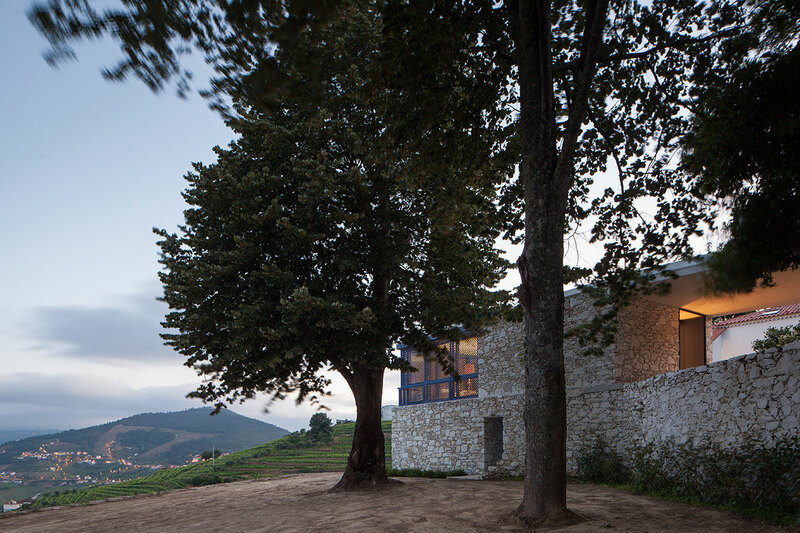 The buildings, which total an imprint of 800 square meters, are set on a bluff over the river and are surrounded by the valley of vines that inhabit the 63,037 square meters of the estate. 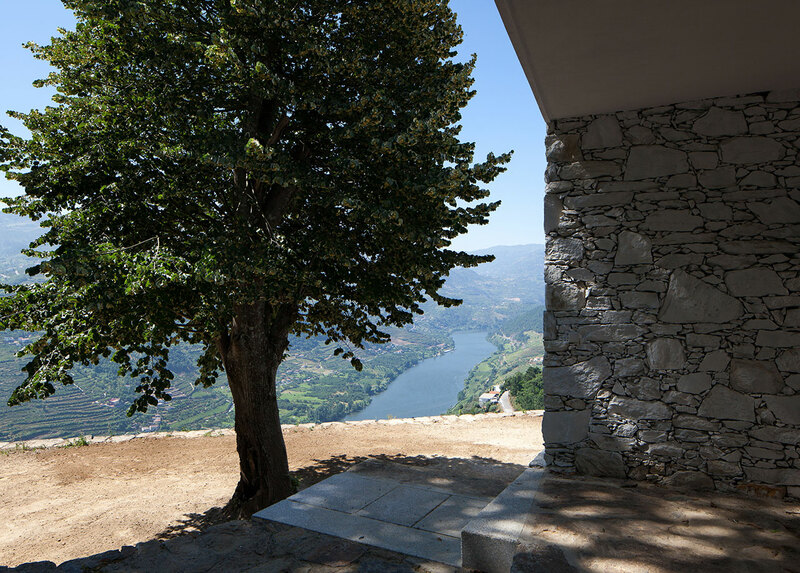 The architects chose to alter the existing L shape of the building layout into a U, by the addition of the caretaker’s house, therefore creating a semi-secluded courtyard with one side opening up over the river, thus encompassing the amazing views below. 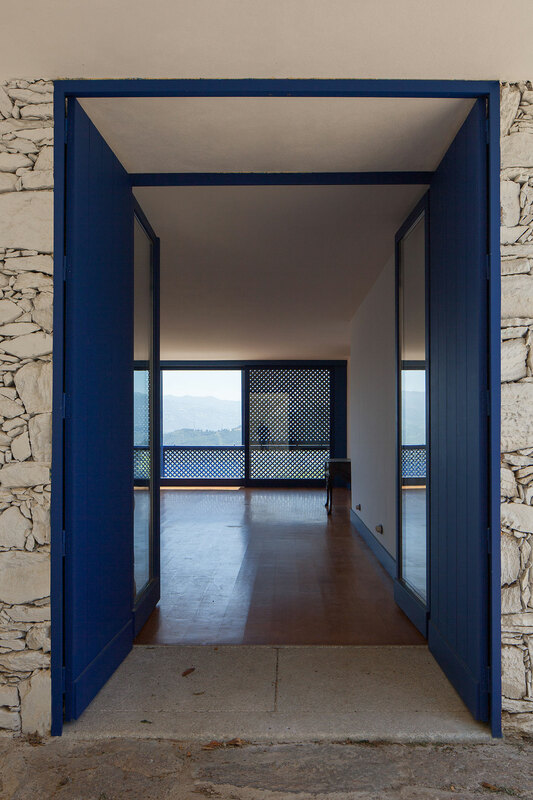 The new building as well as the renovated ones have all been treated in the same fashion; the point was not to redefine the estate but rather to breath new life into it through new additions. 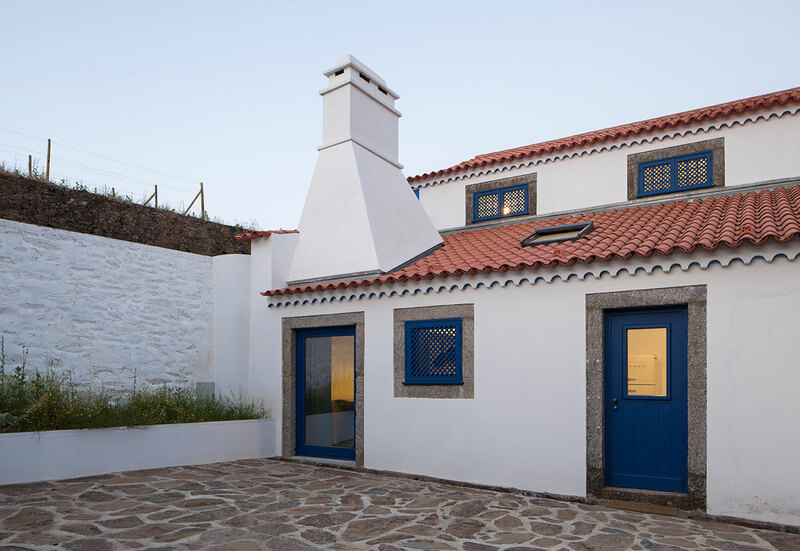 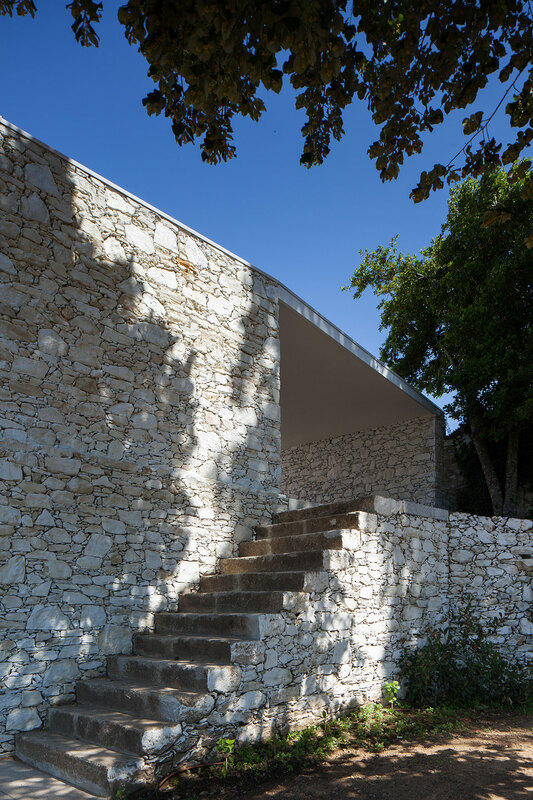 Therefore, all construction is based on the same, time-honored "formula" of the region, which combines stone walls with whitewashed ones that are capped by red-tiled roofs and stone floors on all of the exterior locations, such as the courtyard. 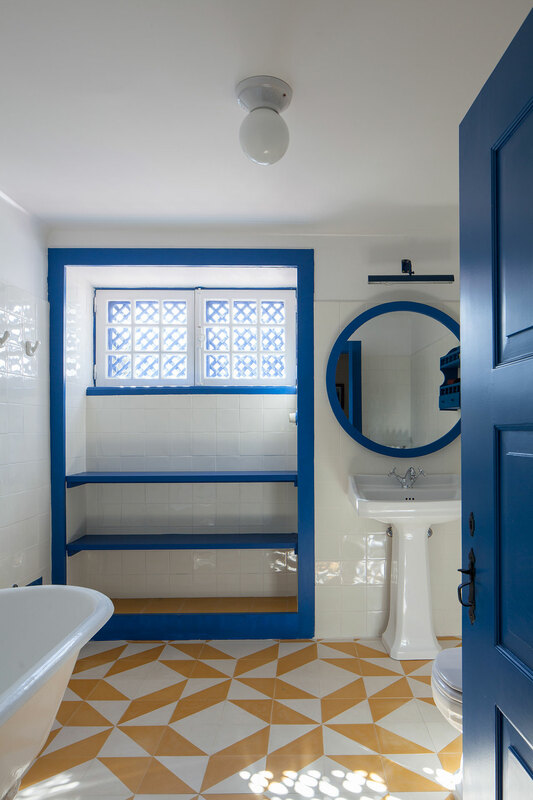 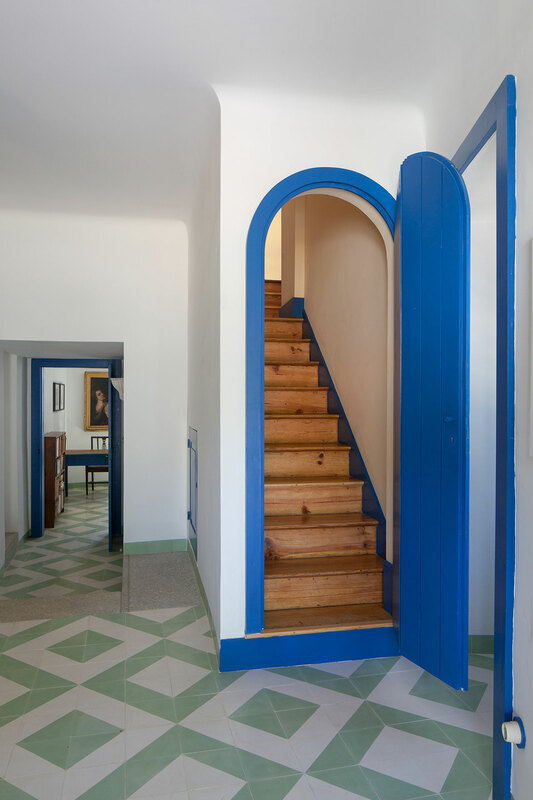 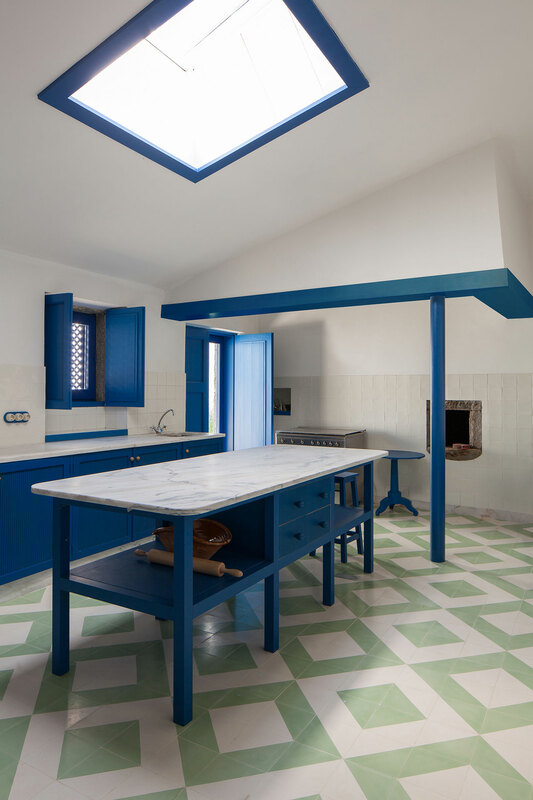 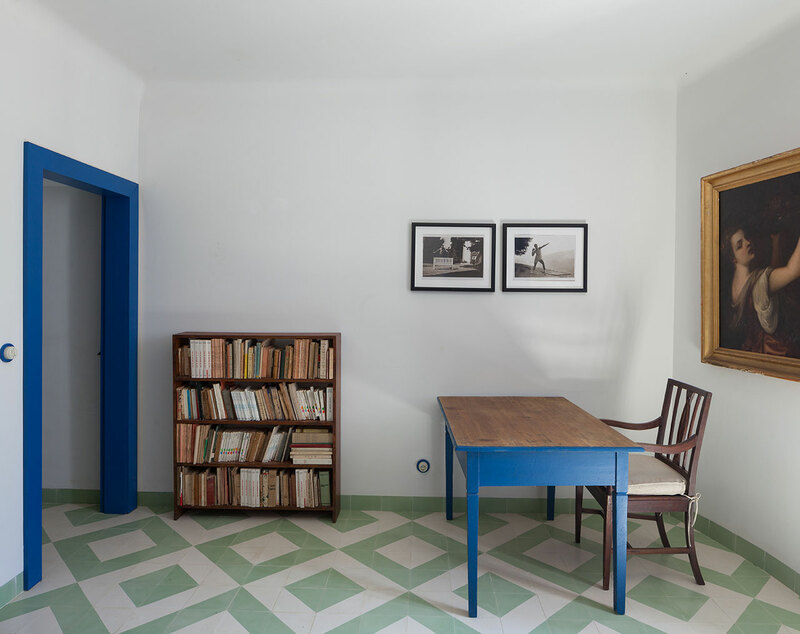 Inside, the "character" of the original buildings has been preserved and replicated for the new constructions, and sees wood floors in the living areas and handmade cement or glazed tiled flooring in geometric patterns in the kitchen and bathrooms, as well as simple, white stucco walls. 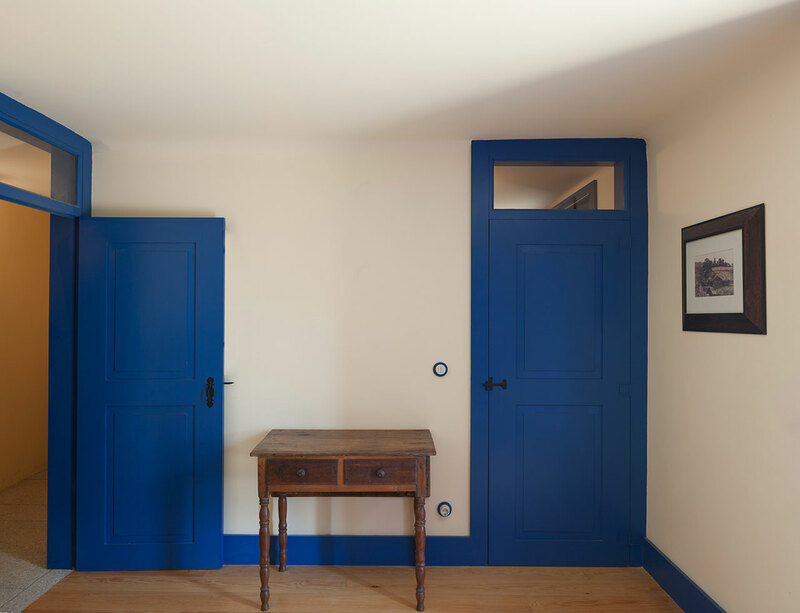 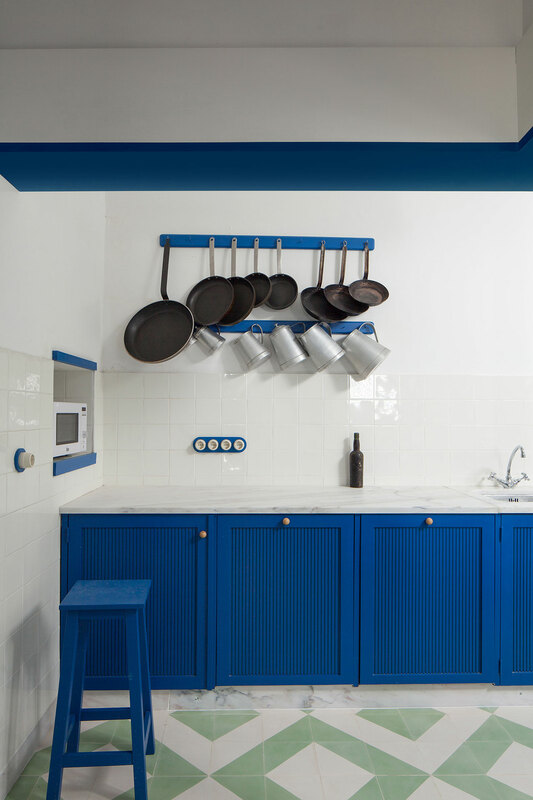 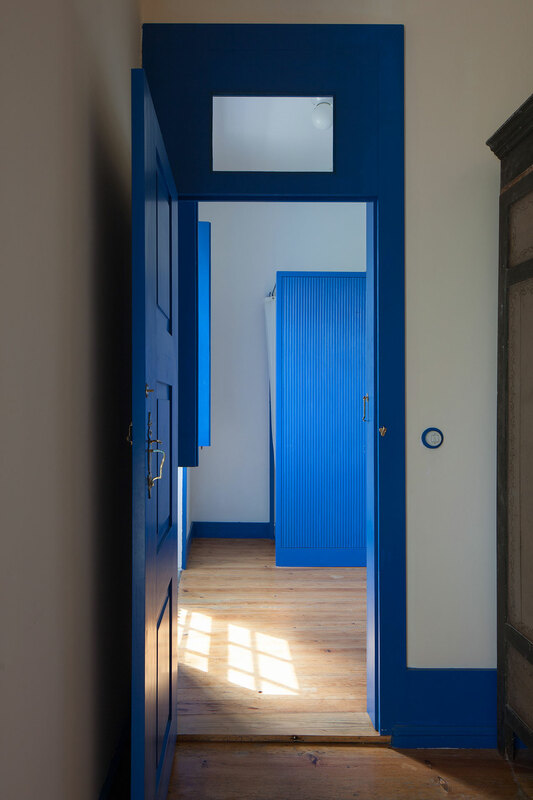 The deep-toned, blue paint on all of the carpentry elements - from doors and doorways, to shutters, kitchen cabinetry, trellises and roof beams - adds an almost elemental color pop to both the indoors and out. 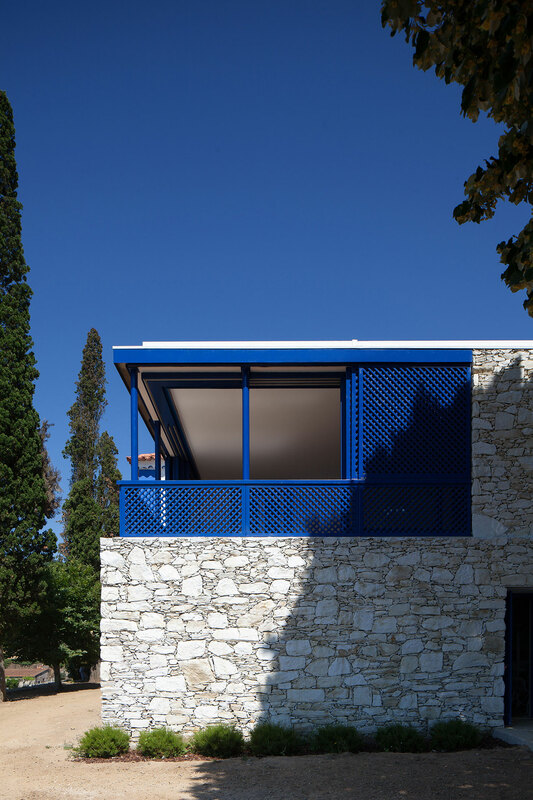 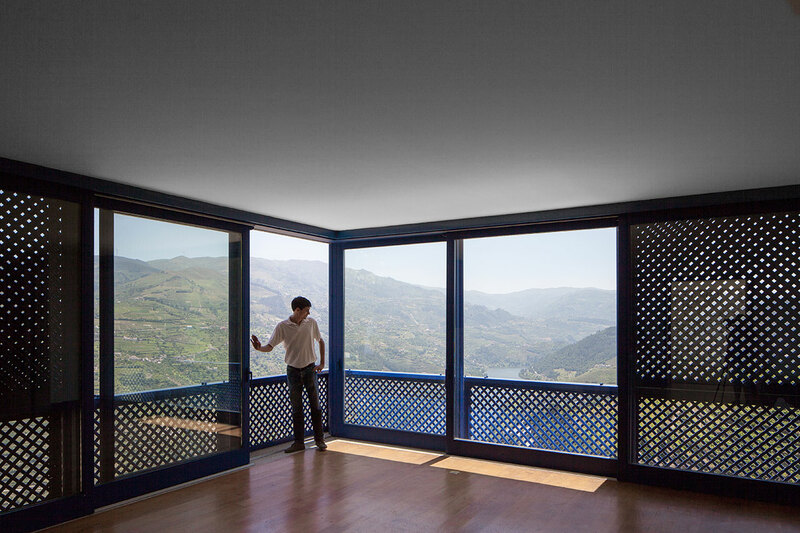 We must mention the living room which almost merges with the incredible views surrounding it, thanks to the windows and blue painted trellis panels that fully slide back, opening up three fourth of the walls to the outside. 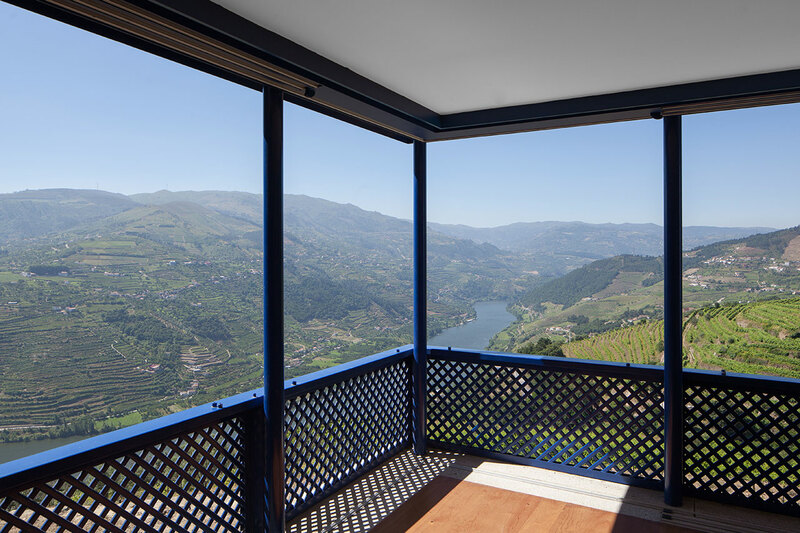 Now just imagine standing there, as the sun sets over the river, a glass of wine produced on site in your hand... is there anything more idylic than a moment like that?